Places at the walk include a complimentary invitation to the launch event on Monday 1st July – click here for details. 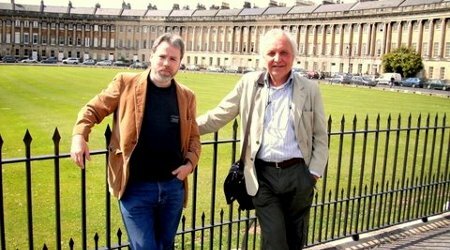 On Sunday 30th June, the authors will lead a special themed walk, taking us to some of the novel’s locations, revealing little-known facts about the darker side of Regency Bath. The walk will begin at 10.30am, and last for an hour and a half. Gather at Topping & Company bookshop at 10am. There is a limit of 30 places for this event – book soon to avoid disappointment.